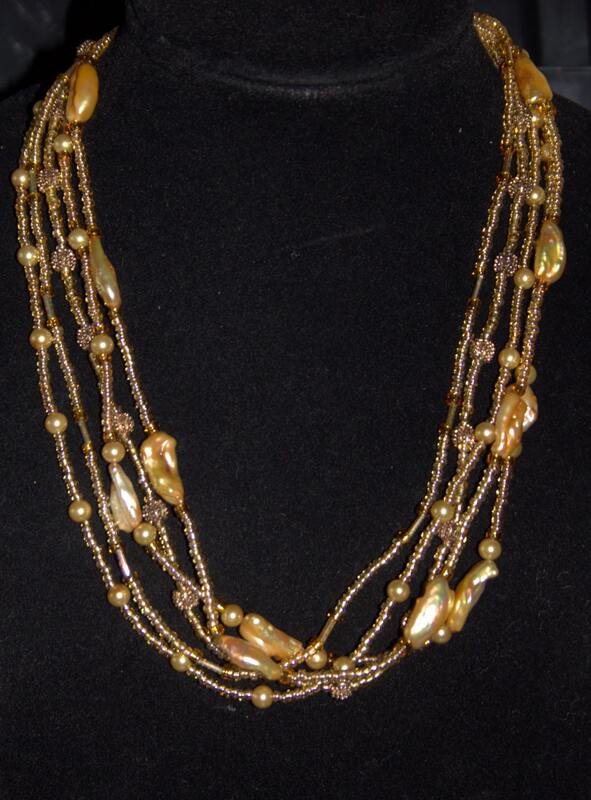 This is a Biwa pearl and seed bead multi-strand necklace. The cascade of gold pearls and beads is accented with clear light gold seed beads and small Indian brass bumpy melon beads. The clasp is dark gold brass with brass cones and hangs 10 1/2 " from the back of the neck in the heart line.